Pula or Pola city is the largest city in Istria County, Croatia and the eighth largest city in the country. It is a magnificent coastal city that still boasts of Ancient Roman architecture with a gorgeous coastal sea line. It is one of the few modern commercial cities that has managed to retain its friendly ‘small town’ appeal. The shingly and sandy beaches could not be better complimented than with the radiant sunny weather. It is easy to access and can be accessed through sea, air and land. This is due to the fact that it has an International airport with direct flights to many European countries such as Amsterdam, Dublin and London, it has a modern bus station is on the edge of the 'old town' district and is the hub of Croatia’s local, domestic and international bus routes and also due to its proximity to the sea it has hydrofoil services that provide great views of the town. In addition to the myriad of historical sites and sandy beaches Pula also has a lot more to offer in terms of tourism and culture. It has Croatia’s famed grand casino called the Golden Sun Casino which is a state of the art casino with table games, slot machines and a bar. It also has a fully equipped adventure park with lots of fun activities to do with friends and family. 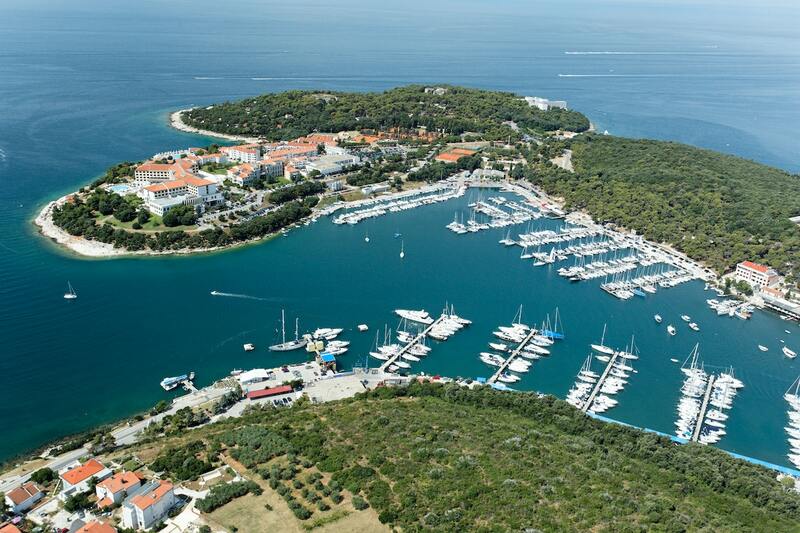 The Croatian town has a robust hotel industry with excellent services and value for your money. With its Italian, Venetian and Austro-Hungarian influences, Istrian food has rich culinary traditions which are passed down through each generation, people understand local ingredients and it not uncommon practice for them to have secret family recipe. This makes the food to die for, this includes their white and black truffles, Cevapici which is seasoned minced meat, skampi buzzara which is their classic seafood and much more. They also have a long history of wine making, even in the modern setting you will find some people making wine in their garages. It is a small city and therefore very easy and convenient to get around. You could choose to walk, use the bus or taxi services or even hire a scooter. Walking will get you around most of the historic attractions because they are around the historic center. 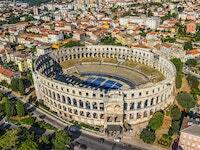 The Croatia city takes pride in having the only remaining Roman amphitheater to have four side towers and with all three Roman architectural orders entirely preserved. It also has a well preserved Roman temple known as the Temple of Augustus which was dedicated to the first Roman emperor, Augustus. The city also has a maze of underground tunnels crisscrossing it, these are popularly known as Zerostrasse. The Croatia city has a group of beautiful scenic Islands known as Brijuni. The Sacred Hearts Museum is also a must visit. From 13th to 27th July the city hosts their epic Pula Film Festival. The Triumphal Arch of the Sergii is also a marvel. The city is also home to Croatia’s Hercules Gate, the oldest standing Roman monument.